Receiving a cancer diagnosis can be difficult, and it’s natural to have several questions about the changes it may bring for you and your loved ones. As the patient, you are as much a key part of your cancer care team as the medical providers who will be treating you, so it’s important to ask as many questions as you need in order to understand your diagnosis and your options as fully as possible. What type of cancer do I have? What is the extent of it? How long will treatment last and how often will I need to come in for it? Will I be able to work during my treatment? It’s also a good idea to ask your doctor to write down your exact diagnosis and stage, the drugs you’ll be taking, any symptoms you should report immediately, and the contact information for all of the specialists who will be on your care team. You can bring this information to each visit and update the information as your treatment continues. In addition to receiving your diagnosis, taking in all of the answers to the questions above can be overwhelming. You may want to bring a family member or friend to help you remember what the doctor said later. Though it may seem like many things are out of your control, it helps to focus on the things you can control. In addition to learning as much as you can about your cancer and its treatment, find an outlet for your feelings. Whether you feel fear, sadness, confusion, or anger, expressing these emotions can make them easier to deal with. It is normal to have some or all of these emotions, but if these feelings persist, tell your doctor about it. Doing things you enjoy with the people you love is central to taking care of yourself, and helps to keep a good outlook on the life changes you are experiencing. While you will have your cancer care team of physicians, nurses, social workers, and other professionals, don’t forget about other resources of support available to you. Utilizing community-based options like places of worship and support groups can help to cope. Srikanth Tamma, MD earned his medical degree from Kasturba Medical College in Manipal, India, in 2001. He completed an internship and residency at Sinai-Grace Hospital in Detroit, MI in 2007, followed by an oncology fellowship at Ochsner Clinic Foundation. 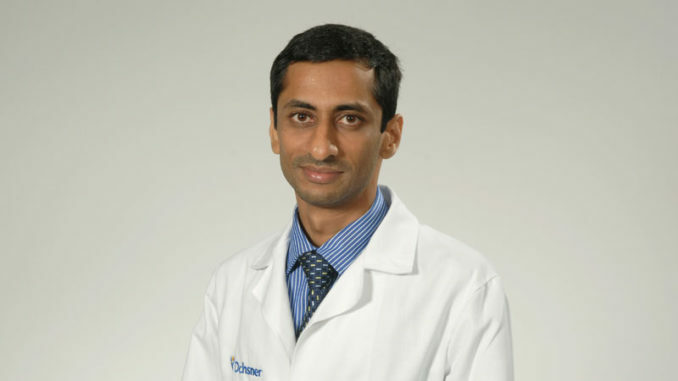 Dr. Tamma is board certified in internal medicine and medical oncology and is now seeing oncology patients every other Monday at St. Charles Parish Hospital (1057 Paul Maillard Road, Luling, LA 70070). To schedule an appointment with him, please call 985-785-6242.